MediHuanna was established in 2016 in order to provide comprehensive, non-biased and easy-to-understand medicinal cannabis education to health professionals. Its aim is to educate the medical community on the safety requirements of prescribing through the provision of high-quality, practical, accredited, science-based training courses that help medical practitioners to develop the necessary skills to confidently assess and advise patients on the suitability of medicinal cannabis treatment. In doing so, MediHuanna hopes to encourage widespread acceptance of medicinal cannabis and its successful integration into modern medicine. Speaking to Health Europa, MediHuanna founder and chief medical officer Dr Teresa Towpik, a practising GP and cannabis activist, discusses the company’s efforts to boost training and education, the reasons behind doctors’ reluctance to prescribe medicinal cannabis, and government activity in this space. 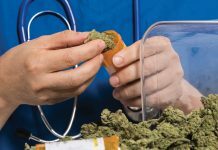 Many doctors in Australia – and, indeed, in other countries – remain reluctant to prescribe medicinal cannabis despite its legalisation. What is MediHuanna doing to encourage greater prescribing? MediHuanna’s primary focus is to educate health professionals about the science of medicinal cannabis and equip them with the practical skills necessary to prescribe and treat. The aim is for a doctor to complete our course having the confidence to begin treating patients with medicinal cannabis. While there is an abundance of information available online it is difficult to find a single source of credible content that is whole in its curriculum and also teaches doctors the practical skills necessary to begin prescribing within the legal framework. This was the problem I faced when beginning to learn about this medicine, and I feel the lack of guidance for GPs on this practical side of prescribing is certainly holding some back from taking the leap. Our courses are accredited by the RACGP, the professional body of general practitioners in Australia, who is responsible for the continuing education standards for GPs. With this accreditation we ensure GPs receive professional training on newly emerging cannabis medicines, including how to prescribe as well as treat. Over the past year we’ve run several training workshops across Australia in partnership with various industry stakeholders to good reception from the participants. We also operate online courses for both GPs and pharmacists that are available for enrolment at any time and offer in-depth lessons on the plant pharmacology, endocannabinoid system and the legal requirements within Australia. As part of our efforts to increase prescribing, I continue to speak at multiple events and seminars sharing my own patient cases to show the real difference it makes in patients’ lives. We’re also just about to publish the second edition of our introductory guidebook on medicinal cannabis for both patients and health professionals after great feedback from the first edition. Is there much of an appetite among the Australian medical community to undertake medicinal cannabis training and education? The medical community is generally quite slow and cautious to adopt new medicines and treatments, so not everyone is convinced. The medical community places high value and importance on the results from RCTs (randomised clinical trials), especially those produced locally. As of yet there are not many gold standard RCTs with medicinal cannabis due to the lengthy period of prohibition. There is also the issue of cannabis not fitting to the single molecule standard of modern medicine due to the entourage effect and the interaction of the numerous cannabinoids together. 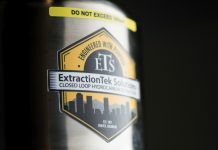 This in effect adds another layer of complexity when conducting research and RCTs, as it is difficult to standardise due to the many possible cannabinoid ratios, formulations, chemovars and possible dosages, each in turn producing varied effects. 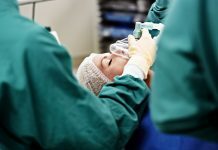 Despite this there is a long list of anecdotal evidence from thousands of individual patient cases which, when combined, should be taken as serious evidence; however, the medical community doesn’t place much importance on anecdotes. I am currently working on publishing a report with case evidence from some of my own patients and their responses to treatment which I hope will add to the evidence for medicinal cannabis treatment in a clinical setting. The lack of confidence in having the knowledge required to treat effectively. This comes back to MediHuanna and its goal of teaching not only the theory but also these practical steps involved so doctors can be confident enough to treat patients themselves. 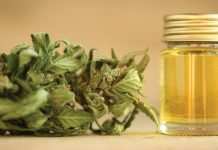 Overall, the medical community is aware of medicinal cannabis and its possible use cases; however, it is generally cautious to adopt it as a first line of treatment or as a replacement for existing treatments. I believe this will come in time with further evidence. How would you assess government efforts to increase education and awareness? 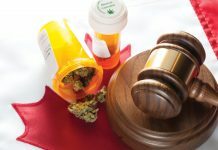 As always there is room for improvement with government initiatives; however, when looking back at the progress made since legalisation in 2016 and the direction it’s heading in, they have done surprisingly well to support medicinal cannabis access and the prescribing processes have been streamlined. 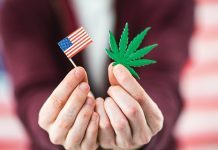 Initially after legalisation it was a mess of regulation and red tape between the varying state and federal requirements, which severely hindered prescription rates. Gaining approval had also been difficult, with the application review process seeming like an interrogation of the doctor by the Therapeutic Goods Administration (TGA). There was also much confusion surrounding medicinal cannabis in Australia at that time, with limited knowledge from the government on approved conditions, how to treat, prescribe and the requirements from doctors; initially many still thought it was unavailable. Over the past year the government has removed much of the red tape and streamlined the prescription process with an online system enabling doctors to apply to both the state and federal bodies with one online application. The application review process has also drastically improved, and I feel the TGA now respects the medical knowledge of the doctor enough to make the right decisions for their patients. I find that as long as you can provide the justification and evidence, approval can now be received within the day. The government has also provided a number of informative guidance documents for doctors which go through the various conditions it can be used to treat and a review of the current clinical evidence available. These guidance documents are very helpful for interested doctors as well as potential patients conducting research. Altogether these efforts have increased prescription rates considerably from the previous 12 months where only a handful of patients had been granted approval to now over 3,000. I am treating over 80 patients at the moment, mostly for chronic debilitating pain not responding to many conventional pharmaceuticals, including opioids. This seems to be an area which affects many people’s lives for years, and there is no other treatment option available other than more various drugs. Cannabis is emerging now as a significant therapeutic agent that can help restore some quality of life and reduce their pain perception. Response from my patients to date seems to be overwhelmingly positive, especially for chronic pain and PTSD. To what extent does the limited evidence base on the risks and benefits of medicinal cannabis hold back efforts to promote education, reduce stigma, and increase confidence in prescribing? It does hold back the medical community as they are more evidence focused than anything else. There is more research being done now than ever before on medicinal cannabis, so in the next decade we should see a massive reduction in stigma and an increase in respect for medicinal cannabis as a medicine. Well-designed RCTs take time and significant cost to produce the evidence necessary; however, we should not ignore the thousands of anecdotal stories from patients around the world, which, when combined, should be taken as serious evidence for further investigation. As medicinal cannabis was illegal for so many years it will take more time and evidence for the stigma engrained in society to fade into acceptance. There is also the issue of cannabis being an unregistered medicine in Australia requiring special approval, so you have both doctors who are unwilling to take the extra risk of treating with an unapproved medicine and those who are unsure of the cost to benefit to the patient. This and the lack of confidence from doctors to treat with cannabis due to a lack of education hinders patient prescriptions as many doctors would rather refer to another doctor in order to shift the risk and workload. There are still many doctors, mostly specialists, who are not at all convinced that cannabis would help more than it would harm and so refuse to even refer to a doctor that would consider it. Hopefully over time this will change. Other than improving medical education, what more could be done to increase patient access to medicinal cannabis in Australia? I am setting up the Compass Lifestyle Clinic in Sydney which will be opened in the next month and aims to help set a framework for how this medicine can be integrated into the modern medical system. This will be the Australian branch of the Canadian company Compass Cannabis Clinics. The Sydney clinic will differ its focus in that it will be centred on holistic care bringing together all aspects of health and healing under one roof, not just cannabis. A major component will be cannabis treatment; however, we will also incorporate a chiropractor and in the future a psychologist, naturopath and possibly a nutritionist. 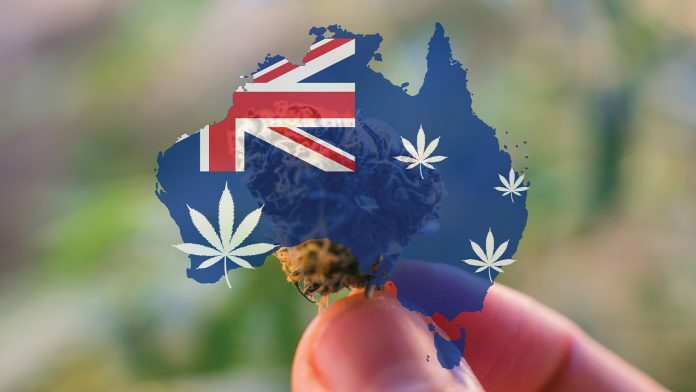 Medicinal cannabis in Australia is totally different to the USA and Canada; here it’s treated as another medicine to be integrated into a doctor’s toolkit so to speak. I don’t believe we’ll have too many cannabis-only clinics or cannabis dispensaries, it will be handled as a regular medicine through your current doctor and dispensed through a pharmacy. I believe this way patients are able to receive a higher level of clinical guidance and care during treatment. As part of my new clinic we are also planning to offer a support network for doctors to help with the prescription process. The first time prescribing it can be daunting due to the unknowns and limited support. It may initially take a few hours of unpaid work to write up a clinical justification, provide evidence and gather all the necessary details for the application. So as part of Compass Clinics we will be offering a nationwide support system for doctors who want to prescribe; we’ll educate them, source the products, handle the application and offer any additional support necessary. We believe this will give more doctors the confidence to start prescribing medicinal cannabis as they will have a support network behind them guiding them along the way and taking care of the paperwork.